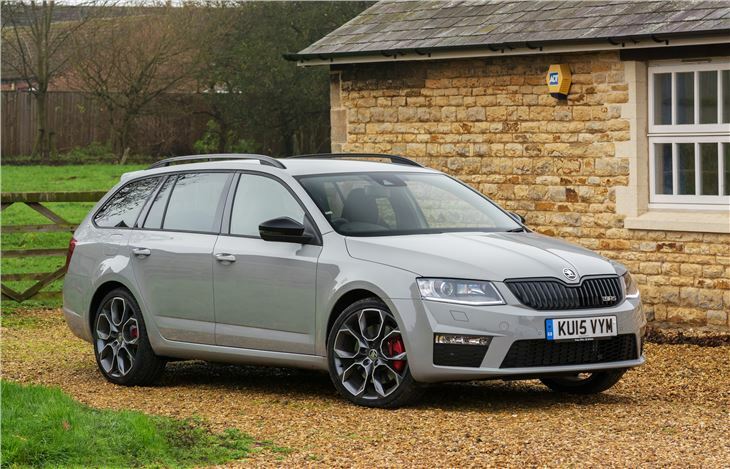 The latest generation Octavia vRS stays true to the strengths that have always underpinned vRS models. So yes it gets more power - 220PS in this case from its 2.0 TSI turbocharged engine - but it's still practical, comfortable and useable everyday. You can of course get the vRS with a diesel engine too. The 2.0 TDI is down on power compared to the diesel with 184PS but has more torque. It's also far more economical with a claimed 64.2mpg and makes a very attractive company car choice. However, the big difference is that the diesel is available with the option of 4x4, albeit it only with a DSG gearbox. But it's the petrol we're big fans of. The TSI is shared with the Volkswagen Golf GTI among others and it's a superb engine with a smooth revving nature and great response when you want it to perform. Acceleration from 0-62mph takes 6.8 seconds - a Golf GTI with the same engine is only 0.3 seconds quicker. Yet it will average - according to the official figures anyway - 45.6mpg. Of course start enjoying that performance and this will soon drop. 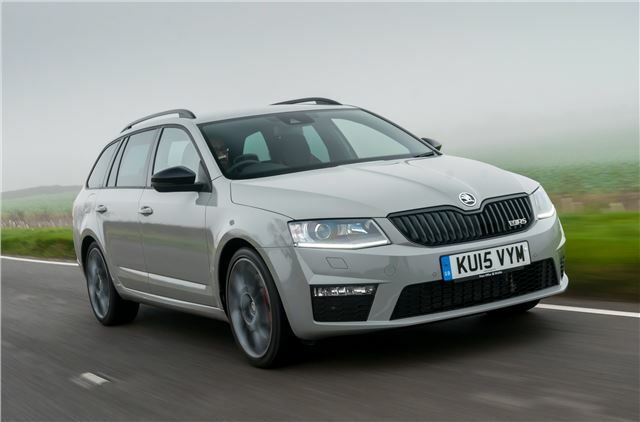 To go with its sporting nature the vRS gets sports suspension and has been lowered by 12mm plus it gets the XDS electronic differential as standard. This system cleverly brakes the inside wheels in corners, making the car feel more agile and meaning less steering lock is required. On the road the Octavia is a revelation compared to the standard car with much improved steering feel and a sharper nature through corners. It's a very enjoyable car to drive yet is still usable every day thanks to a supple ride and easy controls. 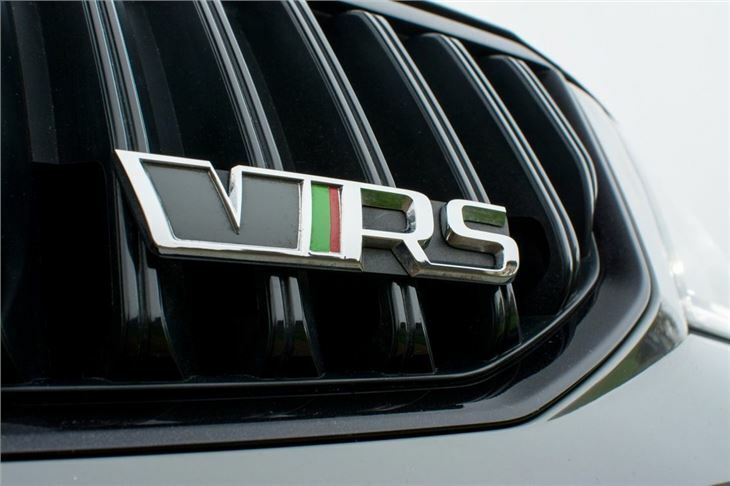 To make it stand out from the standard model, the vRS gets honeycomb design air intakes, a bespoke front bumper and fog lights along with xenon headlights. At the back there's a diffuser and trapezoidal exhaust pipes. 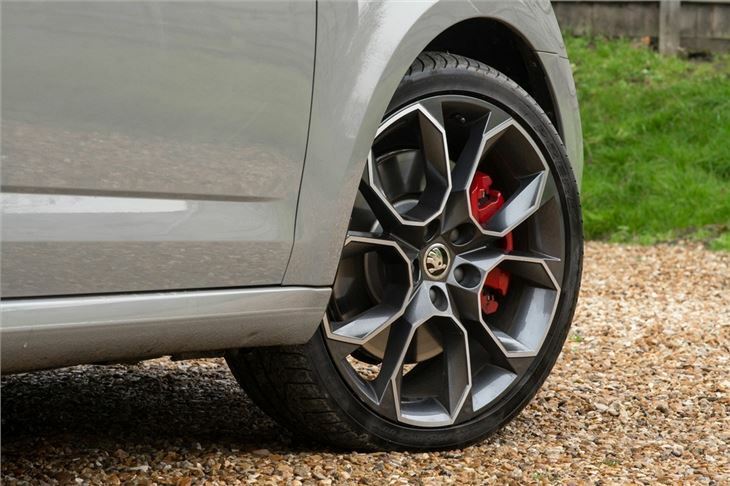 It gets 17-inch alloys as standard but there are 18-inch and 19-inch wheels available as options - the latter fitted to the car in our pictures. 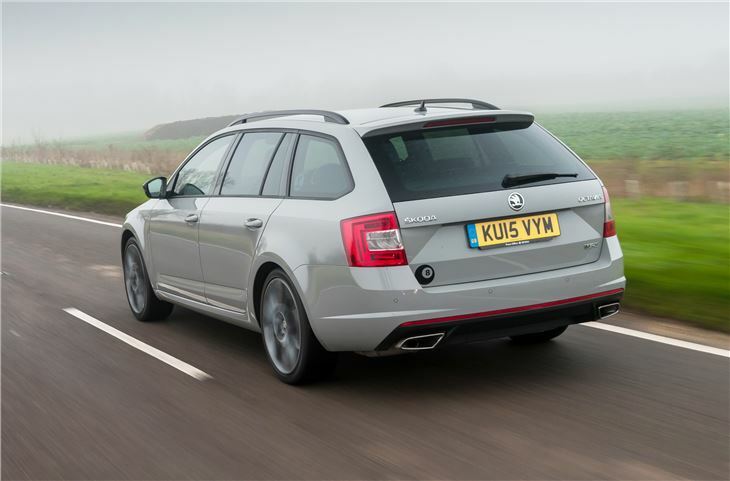 In fact we like the Octavia vRS so much we ran one for six months - it's the estate pictured above. And you can read all about our time with the car - and how impressed we were with it - here.